Danny Diaz, the travelling troubadour, has circled the globe crooning for audiences in Asia, India, North America and Mexico. Diaz, 65, spent 25 years living in Sudbury while raising his four children. Born into a family of musical gypsies, he grew up in Taiwan, the Philippines and Hong Kong. He settled in the nickel city after falling in love with a local woman he met while performing in Mexico. He has a big personality and an even bigger smile. He emanates warmth of spirit and doles out hugs with ease. He was born to entertain -- even our interview is animated and amusing. 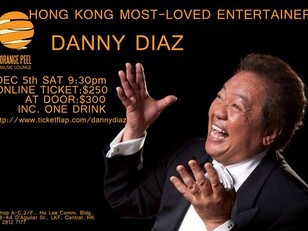 Before moving to Canada, his band, the Hong Kongbased Danny Diaz & The Checkmates, earned acclaim in the 1960s as part of the island's beat movement. As a solo artist, Diaz wrote and released a single, Whatever Happened to Romance, which climbed to number four on the Canadian AC charts. It is available for purchase online. He wrote the song after witnessing a couple break up during one of his performances. Diaz says experience fuels his songwriting. "One of the most powerful mediums in the universe, and the universal language, is music," he says. He is emphatic that music can heal wounds and bridge gaps. "It breaks down doors, it breaks down barriers, it (overcomes) beliefs. It is universal." Diaz has an impressive repertoire that includes rap, classical, bluegrass and musical theatre. He says he has too many favourite bands to name, but when pressed, he mentions U2, AC/DC and Metallica. He says he has a special affinity for jazz and the blues. "(They) play a very big part in the music that we hear today, because they're based initially on telling a story, while at the same time giving the player or singer a chance to improvise and express themselves," he says. " The lyrics are just words, but it's the way they sing it. If they do a great job, the audience gets it." "Life is very short and there are no guarantees anywhere, any time, any place -- so you might as well have a good time and be happy," he emphasizes. "I'm not Mr. Smiles 24 hours a day -- there are ups and downs -- but you gotta snap yourself out of it, and out of all the challenges. As long as you can find a way to brush it off, to regenerate and to refresh yourself." -- Danny. 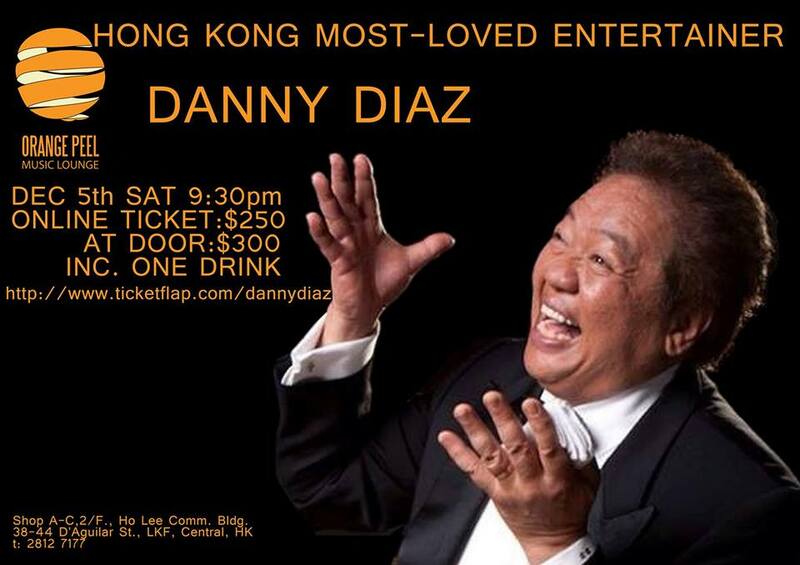 An evening with Danny Diaz takes place on Dec. 5, beginning at 9 p.m. Advance tickets are available here with HK$250, at door is $300.